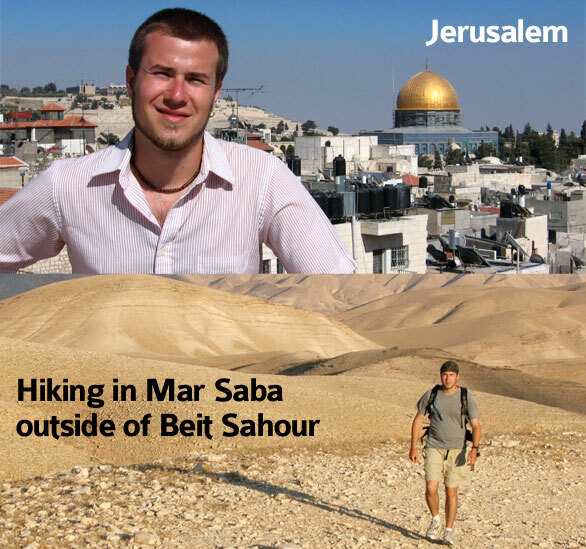 The Middle East: In the summer of 2005, thanks to a Ministry Fellows Grant from The Forum for Theological Education, I spent the summer traveling around the Middle East (Egypt, Israel and Palestine) and working with the Holy Land Trust in Bethlehem. I lived with a Palestinian family, worked at a kid’s camp for Palestinian children and attempted to learn Arabic (I wasn’t too successful with that, other than a few key phrases). During that summer, I also had the opportunity to meet and spend some time with leaders like Naim Ateek (the founder of Sabeel), and Father Elias Chacour from I’billin. You can read about some of my experiences here. Interfaith Youth Event: In April 2011, I worked with Christian, Jewish and Muslim leaders in Livermore, California, to host an interfaith youth event called Interfaith Works. Over 25 interfaith youth and leaders met together for a day of learning and service. You can read my detailed description here, and read articles about the event in two local news sites, the Livermore Patch, and The Independent. Interfaith Work: While serving in Ashland, I was on the planning team that created an Interfaith Peacemakers Day Camp, which was an alternative to the traditional Vacation Bible School programs that churches offer. I also served on an Interfaith Council for clergy, and was invited to be the speaker from the Christian faith tradition at the annual Interfaith Winter Solstice Celebration at the Havurah Shir Hadash in Ashland.